For thousands of years, Chinese storytellers have delighted listeners with stories about the value of virtues like honesty, respect, courage and self-reliance. 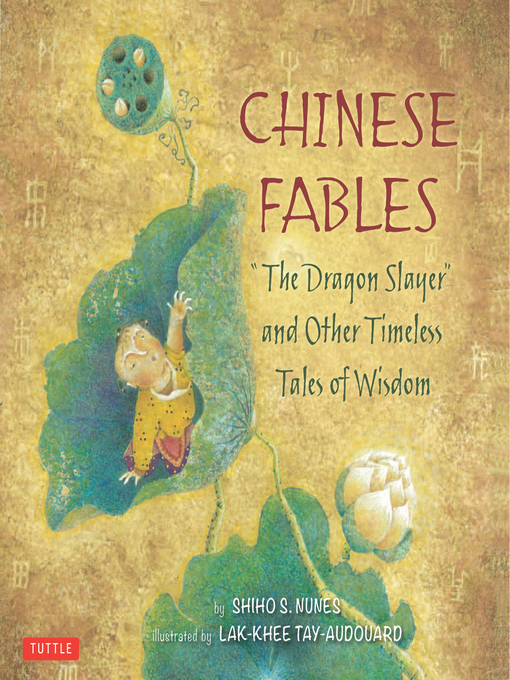 Chinese Fables collects nineteen of these wonderful tales, some of them dating back to the third century BCE, and retells them in contemporary English for a modern audience. Each of these stories offers a nugget of ancient folk wisdom and shares aspects of Chinese culture and lore. All of the tales express the foibles and wisdom of human experience with great humor and affection. And although the lessons are universal, the wit and flavor are uniquely Chinese. Beautifully illustrated by a master Chinese artist using a patchwork of ancient tones and textures, with a deft touch of humor, this book will give great joy to children and adults alike.